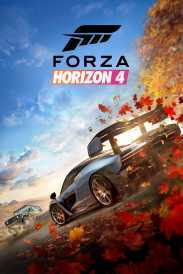 You will receive an e-mail alert when the price of Forza Horizon 4 Ultimate Edition will drop. Dynamic seasons change everything at the world’s greatest automotive festival. Go it alone or team up with others to explore beautiful and historic Britain in a shared open world. Collect, modify, and drive over 450 cars. Race, stunt, create, and explore - choose your own path to become a Horizon Superstar. The Forza Horizon 4 Ultimate Edition digital bundle includes early access, allowing you to play four days early beginning September 28, Car Pass, VIP Membership, Formula Drift Car Pack, Day One Car Pack, and two game expansions when they become available. Preorder the Forza Horizon 4 Standard Edition digital bundle by October 2, 2018 and receive the Formula Drift Car Pack in both Forza Motorsport 7 and Forza Horizon 4.